The 3D 5 Step Segmented Funnel Diagram is a step by step process template. It is an inside view diagram for detailed analysis of business models. 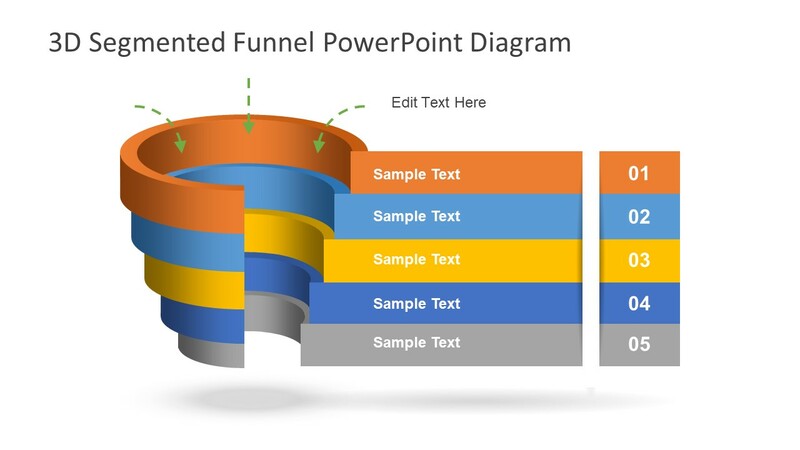 PowerPoint funnel graphics are the most frequently use diagrams use in several industries. Such as research, learning, science and technology, civil engineering, business organization structure, and more. 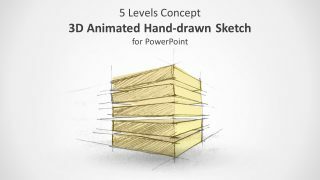 3D view is ideal for displaying sales and marketing funnel template with processes up to five steps. The creative layout of flat shapes highlights each of the four segments in color labels. The diagram shows the first step as a wider segment narrowing down by each level. It illustrates the concept of refining the search to the specific requirements. 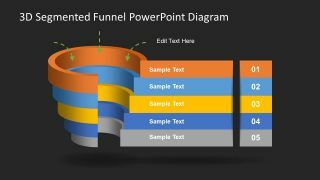 The 3D 5 Step Segmented Funnel Diagram is an editable PowerPoint template. Therefore, the users can customize the number of levels as required for the concept presentation. All this can be done by simply copying the segments and adjusting(resizing) to the existing diagram. Moreover, recolor the segments and labels, or modify the font and size of the text. 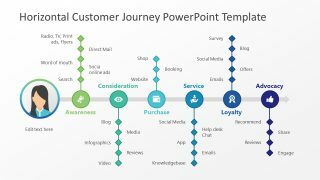 It is an ideal funnel PowerPoint diagram to demonstrate marketing analysis. For example, displaying company’s product consumer market. Or, finding the top-selling product by removing all the unwanted elements. The funnel diagram, however, helps explain the filtering processes as well. For instance, the traditional method of displaying lead generation process. It is a stepwise process to precisely target the potential buyers. 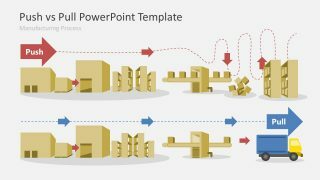 The 3D diagram template of funnel shapes is an attractive segmented PowerPoint of colorful 5 step. 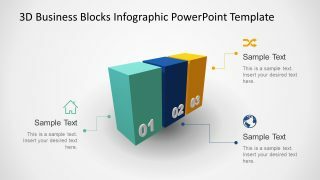 The template offers two slides of the different background. I.e. use the black background for darker theme presentation. The professionals in the sales and marketing fields can benefit from the 3D diagram of a funnel. Because it can assist them in presenting a graphical analysis of leads generation, surveys, and sales. Further, it can demonstrate the customer experience and product journey in 5 simple steps.